Another member of the Stanley Cup champion Washington Capitals is declining his invitation to the White House. 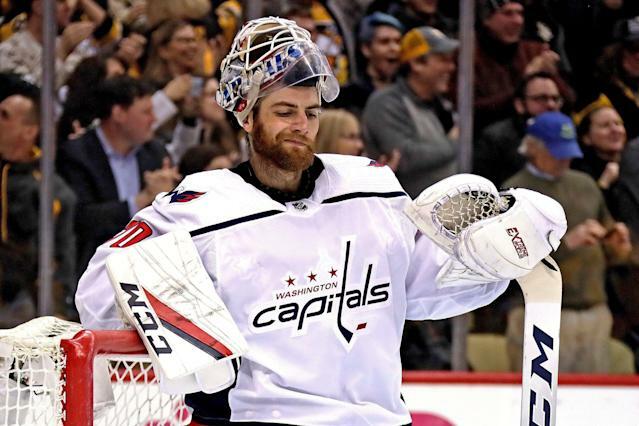 Goaltender Braden Holtby, who earned all 16 postseason wins while posting a .922 save percentage for the Caps last spring, made it known Friday that he won’t be joining his teammates in celebrating their championship in D.C. on Monday. Holtby said he is "respectfully declining" to participate in the trip and that he wanted to "stay true to my values." "My family and myself, we believe in a world where humans are treated with respect regardless of your stature, what you’re born into. You’re asked to choose what side you’re on, and I think it’s pretty clear what side I’m on," Holtby said. Holtby is a noted LGBTQ ally and has been an outspoken advocate for basically the entirety of his career. He was a guest speaker at the Human Rights Campaign Nation Dinner this season and has marched in several pride parades. He added that from a moral and beliefs standpoint, the decision to not attend wasn’t a difficult one — it was choosing to not join the majority of his teammates that made it tough. So far, forward Brett Connolly is the only other Capitals player to publicly turn down the invitation.